Home » Vehicle Leasing: Should You Go For It? A car lease does not need much capital in deposits to start one. There are many vehicle leasing companies which have a payment term of their own. So you can easily find that few are asking for a month of payment and there are others’ that are comfortable with hardly anything to start with. If you are business with unpredictable cash-flow, even then, you may go for leasing at a fixed monthly payment that is not too high. It means you can hire vehicles without having to worry about arranging capital for it. Once the lease terms ends, there is absolutely no obligation for you to make the residual payment and buy the vehicle. If you are a small business, then leasing may be the best for you as you will have the fund to focus on other vital areas. When you go for or lease, you can get the latest model and also get the safety net of the manufacturer’s warranty. What Are Various Challenges With Leasing? Every lease comes with a set of conditions. It may be some kilometers that you are allowed to drive. Once you have gone for leasing, you can’t modify it as you are not the owner of the car. If you want to use the vehicle as an asset, then you may not be able to show it. Who Should Go For Lease? If you want the vehicles mainly for work, then leasing may be the best option for you. 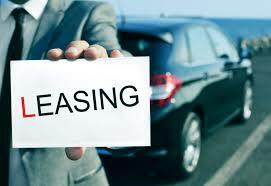 Leasing is good for business owners, corporates, etc. Then there is something that is known is novated lease. It is suitable for just anyone who can’t afford to buy a new car and are ready to sign the lease agreement every few years. But the condition is that it is the part of the salary package. How does it compare to buying? As compared to leasing, owning a vehicle is an expensive affair. Once vehicle is out of warranty you will have to bear the cost of repairs. There are higher initial costs with owning and as owner; you will have to take the brunt of depreciation. Many vehicle leasing companies are around, and you should go with one which offers better terms for you!